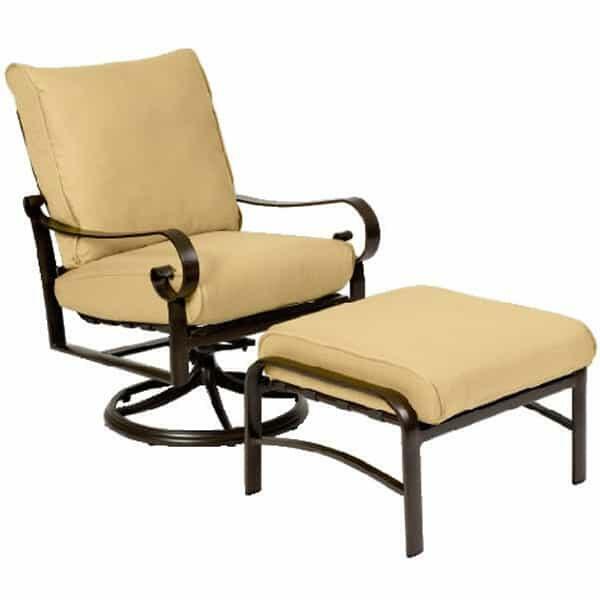 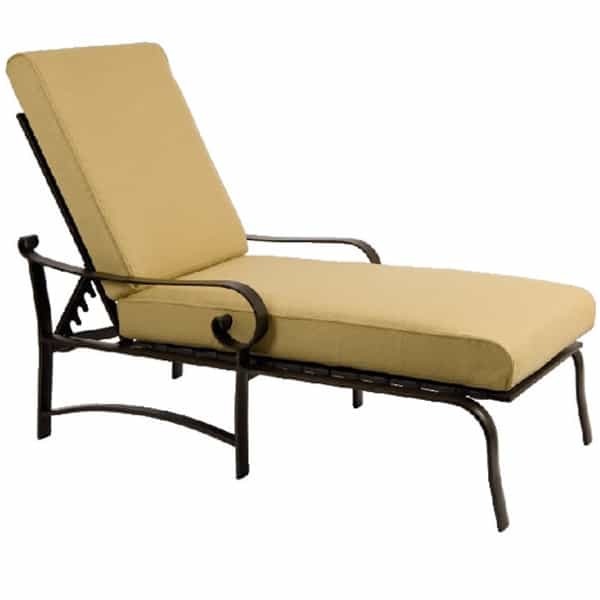 While the gentle loops of this collection, from the scrolled hand rests down to the curved stretchers, recalls antique wrought iron patio furniture, it's actually modern wrought aluminum, treated and finished for all-weather use. 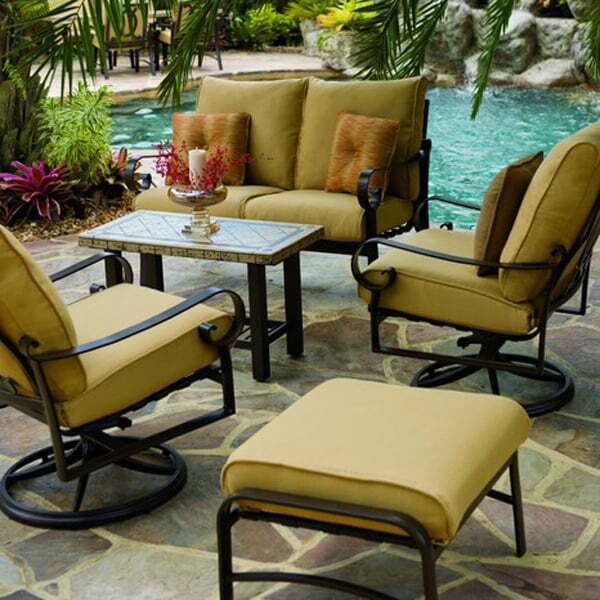 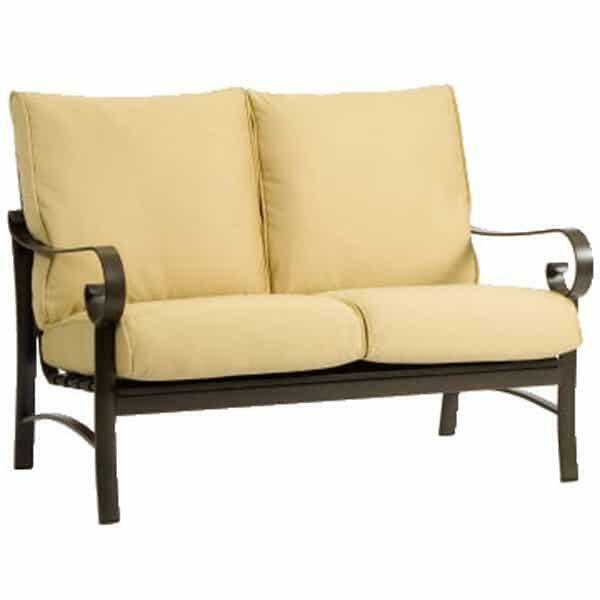 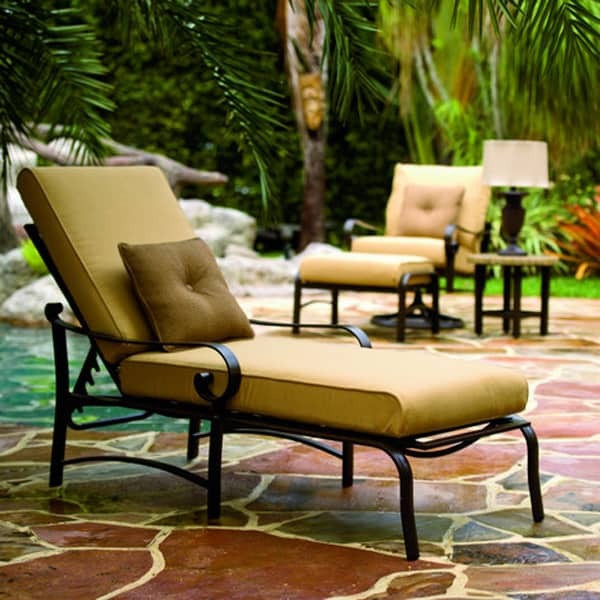 The Belden Cushion Deep Seating from Woodard offers a cultured look and modern function; each piece in this collection undergoes a multiple stage process that adds rust inhibitors, color and a sealer to lock out damaging moisture, oils and dirt. 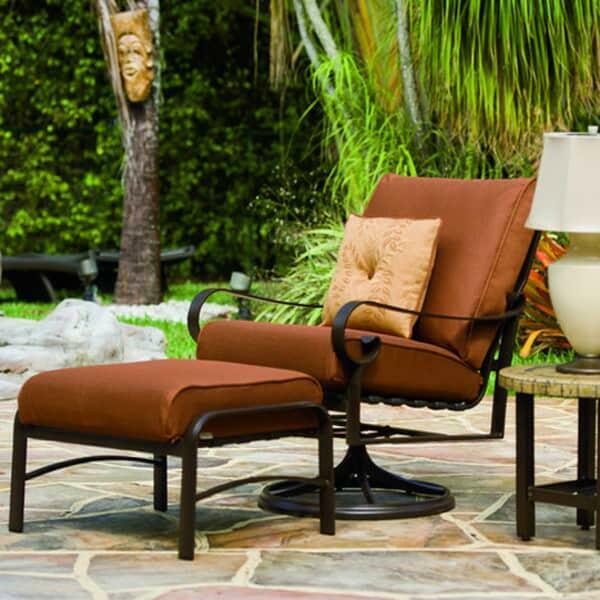 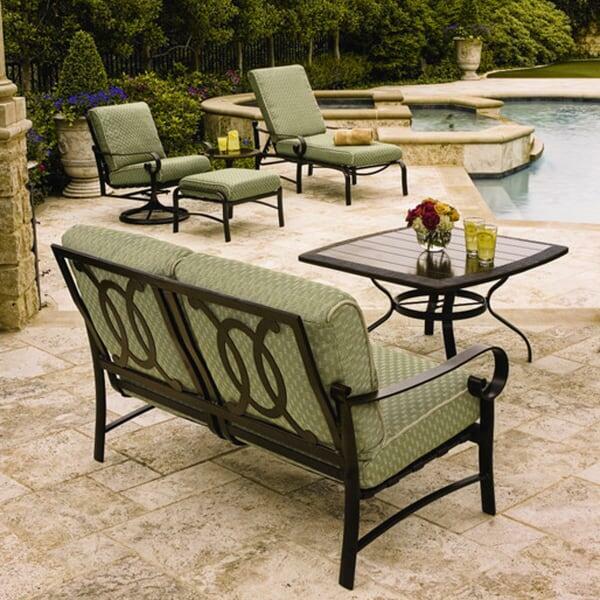 Woodard has been an innovator in the patio furniture industry for more than 100 years; you can rely on them for the highest grade pure cast aluminum, bent and shaped by hand to form your outdoor furniture collection. 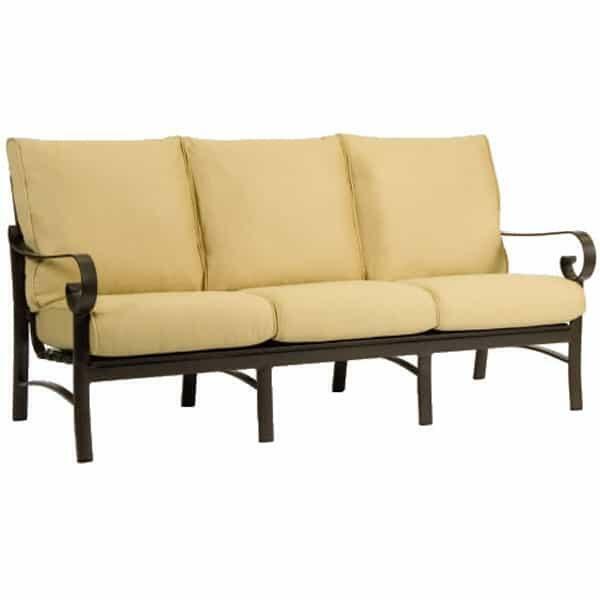 W 76" x D 34.5" x H 33.5" LBS 46 SEAT HEIGHT 19"
W 52" x D 34.5" x H 33.5" LBS 35 SEAT HEIGHT 19"
W 28.3" x D 35.5" x H 35.5" LBS 37 SEAT HEIGHT 21"
W 28" x D 76.5" x H 24.5" LBS 46 SEAT HEIGHT 19"